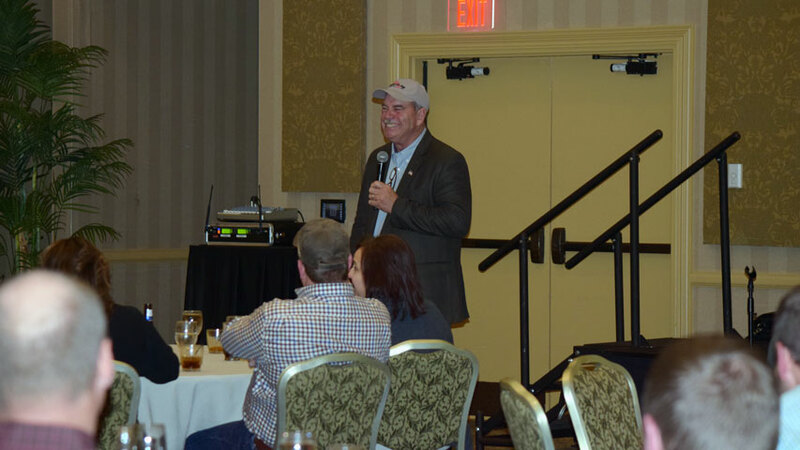 Nationally-touring agriculture speaker and comedian Jerry Carroll has recently performed in: Converse, French Lick, Indianapolis, Jasper, Merrillville, Rensselaer, Shelbyville, IN and other cities. We loved Jerry Carroll! I would recommend him to anyone, especially in the Ag industry. Very clean comedian and laughs at himself. Our group of 110 Indiana farmers LOVED laughing with him. He arrived early and mingled with the group before hand. Was very down to earth, engaged with the group, made them laugh, and was very relatable to our group of farmers." Jerry Carroll worked out exceptionally well. We had a large crowd of farm families, and Jerry tailored his material to this group. He was able to relate to the attendees." Jerry Carroll put on a great show and interacted with the crowd in an awesome fashion. Many people are still commenting on his show and how approachable and original he was. Overall great show!" Jerry Carroll was simply hysterical and perfectly suited to our audience."